You may not think it to look at him, but filmmaker and Boom Blox co-creator Steven Spielberg can really hit a drum. The Spielberg clan is quite taken with Rock Band it seems. He tells Yahoo! Games' Celebrity Byte that he and his family bond over games of Guitar Hero and Rock Band, with Steven on the drums. They're not just playing Boom Blox to keep dad happy. Spielberg himself is more of an action man, playing titles like Call of Duty 4 and Half-Life, raised on Pong which he calls the "Woodstock of video gaming." He's not a fan, however, of cut scenes in video games. "You know the thing that doesn't work for me in these games are the little movies where they attempt to tell a story in between the playable levels," he says. "That's where there hasn't been a synergy between storytelling and gaming." 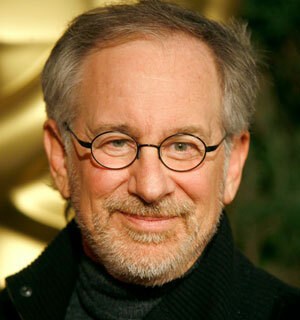 Spielberg says more needs to be done in the providing a "universal narrative" in video game storytelling. "They go to a lot of trouble to do these [motion-capture]movies that explain the characters. And then the second the game is returned to you and it's under your control, you forget everything the interstitials are trying to impact you with, and you just go back to shooting things," Spielberg laments. But we like shooting things, Steven. That's a fair call about narrative and I think it's one of the reasons why the original Half Life was so revolutionary.